Thoughts on the heightened sensitivity that comes with age. My latest, in the new issue of Eclectica. 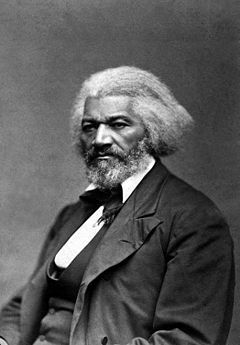 On July 5th, 1852 Frederick Douglass delivered a speech to the Rochester Ladies’ Anti-Slavery Society, Rochester Hall, New York. Douglass, of course is himself the preeminent abolitionist, a man who escaped slavery and went on to champion not just the cause of freedom for American slaves but for all people, including the near-slaves of Ireland who received him with great warmth. “What, to the American slave, is your 4th of July? I answer: a day that reveals to him, more than all other days in the year, the gross injustice and cruelty to which he is the constant victim. To him, your celebration is a sham; your boasted liberty, an unholy license; your national greatness, swelling vanity; your sounds of rejoicing are empty and heartless; your denunciations of tyrants, brass fronted impudence; your shouts of liberty and equality, hollow mockery; your prayers and hymns, your sermons and thanksgivings, with all your religious parade, and solemnity, are, to him, mere bombast, fraud, deception, impiety, and hypocrisy — a thin veil to cover up crimes which would disgrace a nation of savages. There is not a nation on the earth guilty of practices, more shocking and bloody, than are the people of these United States, at this very hour. That was then, we might say, this is now. Things have changed. They have indeed. There was a Civil War in the offing that would cost the lives of 600,000 Americans, most of them what we call “white,” who as the war progressed believed they were fighting as much against slavery as against the secession of the Southern states from the Union. After the North’s victory in that war there was a period of Reconstruction, barely a decade, during which the former slaves enjoyed something like freedom. But then the North withdrew and left the South again to its own devices which promptly included a new system of social and economic repression of the freed slaves that was almost as beneficial to their former masters as was chattel slavery. That was the beginning as well of Jim Crow, the de facto apartheid system under which Southerners of African ancestry lived until the latter part of the 20th century. What kind of speech would Frederick Douglass make today if he could come back and give one? Early on in the talk he gave in Rochester he speaks of the youthfulness of the American nation, how it is easier for a young nation to make changes than it is for one that has been doing things the same way for many centuries. He lauds the Founding Fathers for the principles they espoused: love of liberty, putting country before self, bravery. He calls upon America to make good use of those virtues and end the abominable practice of slavery, though it’s clear by his words that he sees a nation whose citizens would rather celebrate the greatness of their ancestors once a year than emulate that greatness in the present. The last time I checked there was still no major museum to the atrocity of American slavery or the genocide of the American Indian. Our righteous emotions are reserved for foreign travesties committed by foreigners, not by God-fearing Americans. Our sins go unacknowledged, our glories loudly celebrated. But there is a school of thought that would say Douglass was too generous in his depiction of the motives of the revolutionaries of 1776. The scholar Gerald Horne is one such. Professor Horne’s research (The Counter-Revolution of 1776: Slave Resistance and the Origins of the United States) argues the American Revolution was fought in large part to avoid the abolition of slavery toward which Britain was moving. The end of slavery would have meant a major economic adjustment for the colonies. The fact that slavery was in fact expanded after independence, just as it had been expanded earlier after it was deregulated by the British crown, taking it out of the hands of the King and placing it in those of the entrepreneurial class, makes this argument seem all the more plausible. A similar argument has been made by other historians who maintain that the British when they made treaties with the Indians did so more or less in good faith, while the colonists never intended to honor those treaties and waged a revolutionary war largely to free themselves from the restraints placed upon them by the crown from pushing Indian tribes further and further west, in the process destroying their civilizations, not to mention the slaughters that occurred when they resisted displacement. It takes a certain cheek to write words like that after the way Europeans had treated the indigenous peoples for the previous two centuries. Shortly before the Revolutionary War broke out the colonists had fought against the French settlers in America in the so-called French and Indian War, 1754-1763, the American version of the Seven Years War in Europe. During this war some of the Indians who fought on the French side did indeed torture and massacre British captives, something Mr. Jefferson & Co. chose not to forget. But the outcome of the war was that France ceded its territory east of the Mississippi to Great Britain, and French Louisiana west of the Mississippi River (including New Orleans) was ceded to its ally Spain in compensation for Spain’s loss of Florida to Britain. This opened up vast new territories which the colonists saw as their manifest destiny to populate with their kind, the indigenous people on that land being mere obstructions to that God-given purpose. the subject of slavery in their official documents, though, speaks loudly. A nation economically dependent on a system of chattel slavery was an embarrassment to everything those high-minded men claimed to stand for in their fine words about all men being created equal. And, as Douglass points out, then and in his own day there was no question but that the master class knew the humans they owned and worked like animals were human beings. In the early days of settlement as well they recognized the native people’s humanity, depended on their knowledge and know-how for their own very existence. Later, when the settlers had the upper hand and had demoralized the Indians they regarded those peoples with contempt. There’s nothing uniquely American about our refusal to face up to our national disgraces, the results of which continue to plague tens of millions of our fellow citizens as well as the descendants of those indigenous peoples we exiled and slaughtered. Turkey has yet to acknowledge its genocide of the million Armenians slaughtered in 1919. Japan refuses to take responsibility for their own massacres in China and elsewhere. The Allied Powers of the second world war prefer not to talk about the fire-bombing of German and Japanese cities, which caused more civilian deaths than the two atomic bombs dropped on Hiroshima and Nagasaki. If hypocrisy is an indication of a bad conscience, we have a bad conscience of epic proportions. There’s no reason why we could not celebrate the independence of this nation without leaving out the moral and practical work which, more than two centuries later, still needs to be attended to. A true celebration of the Fourth would include a bill of grievances that is still outstanding, starting with a factual account of how our nation was cobbled together out of the land of other peoples, and not just Indians. One third of the United States was taken by force from Mexico, though to what extent Mexico itself had a legitimate right to “own” that land I’ll leave to a Mexican to determine. The consequences of several long centuries of slavery and then the slightly more subtle forms of repression and abuse that followed must also be dealt with if we are ever to be morally whole as Frederick Douglass hoped we would be. But I wouldn’t hold my breath waiting for that to happen. We will celebrate the 4th as we always do, with fireworks and hot dogs, no more thinking of the nation’s unfinished business than a child does. We have in effect decided we have done enough. We have other fish to fry — “terrorists” to kill or torture, foreign “enemies” to contain or punish. The American empire, like all others, will fall eventually, and not all it stood for will be seen as hypocrisy and violence. Wouldn’t it be nice if before that day of judgment arrives we could add to the list of things we did well the setting right of the outstanding moral obligations bequeathed to us by those same sons of the revolution we make so much of on this July 4th? We are only a century and a half older than we were when Douglass held out the hope that a nation as young as the United States could still mend its ways. Or are we like the drunk who would rather have another drink to forget what he hasn’t the will to face and overcome? Perhaps we are not young after all, not high-minded, and perhaps never were. Someone said a hypocrite is salvageable because he at least acknowledges virtue even though he chooses vice. Beneath our self-inflicted national amnesia there is a broad reservoir of decency in our people not shared by most of its elected officials and other elite. If that decency were to be mobilized and expressed, not even the powers-that-be could resist it and we could claim in good faith and with a clear conscience to be the nation we like to believe ourselves to be.